For those of you that don’t know, we used the Tiny House Build “hOMe” plans for our build. We fell in love with the layout so much that we barely changed anything during the process- just did our own spin on styling. 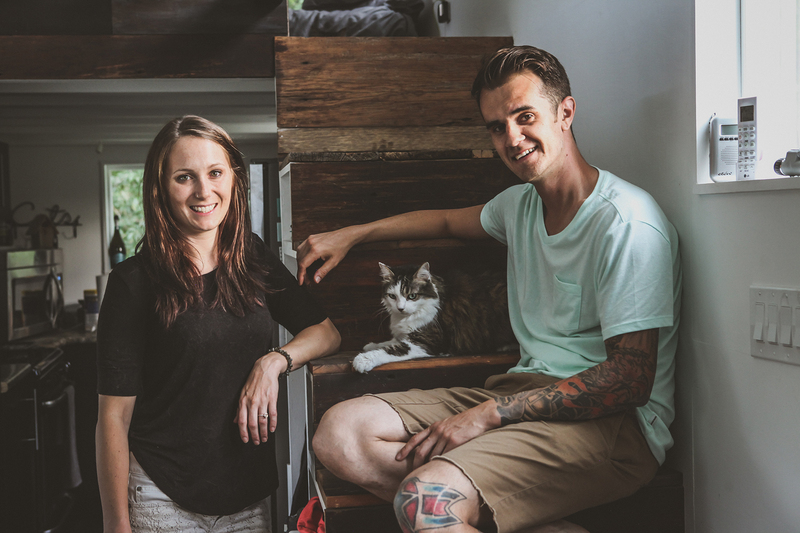 We’re beyond honored to have an interview published on the creators of “hOMe”, Andrew & Gabriella Morrison’s website. Thank you two for creating such an awesome and wonderful layout for so many people to enjoy. This house most certainly has changed our lives. I encourage everyone to visit their site, and definitely “like” them on Facebook! Finally a quick video tour of our tiny house house! Also, we would love you to death if you subscribed to our YouTube channel! 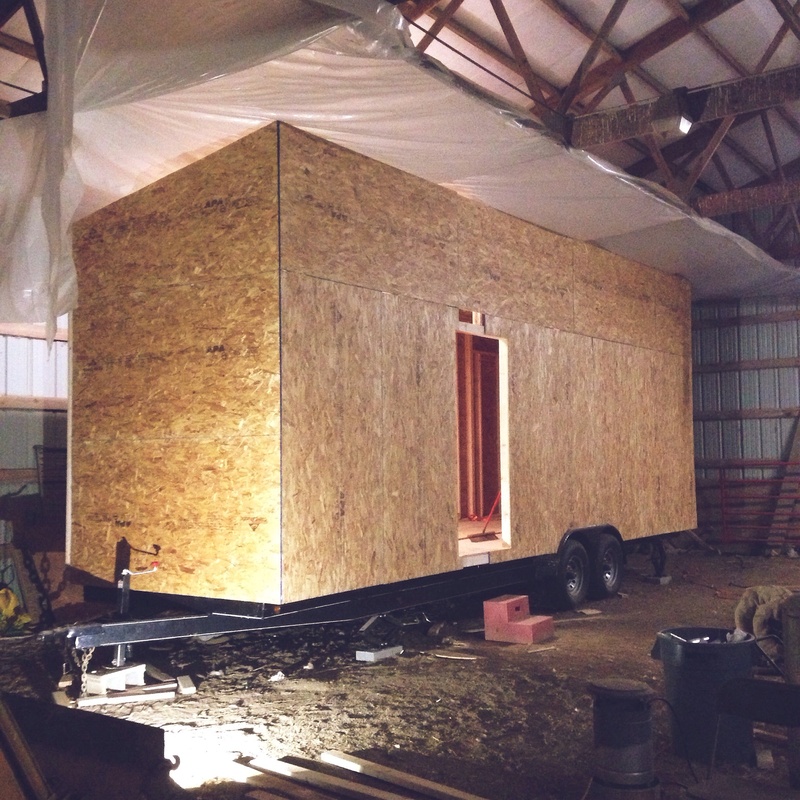 Heart Of It All House – Tiny House build finished preview! We were invited to come onto the local Dayton area WDTN show “Living Dayton” today and talk about Tiny Houses and our build! Thanks Living Dayton for having us on the show! We’re looking forward to part 2 when the house is finished. After finishing up framing, we starting sheathing the outside. Its fun to see the house start to shape up and look more and more like….. a box. Without the windows cut out, our house looks like a 28′ long, 13′ tall box! I’ve been waiting for this day for nearly 5 years. 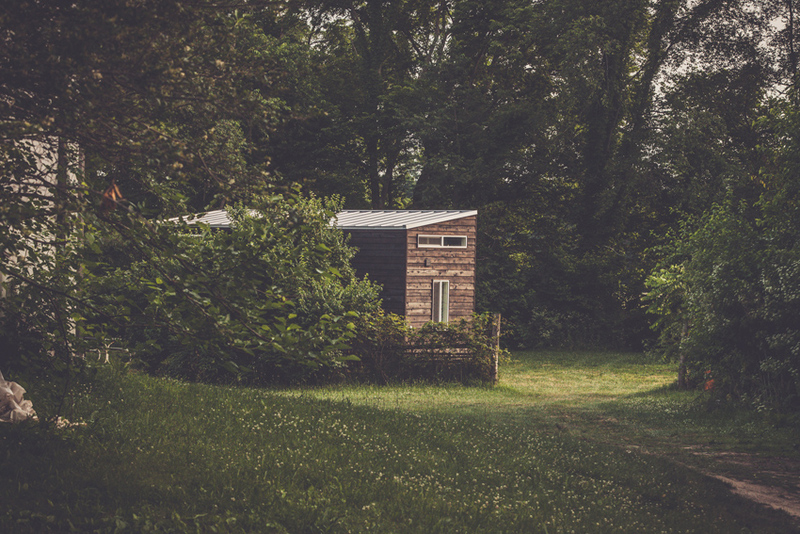 The day we would begin to build & frame our first Tiny House. 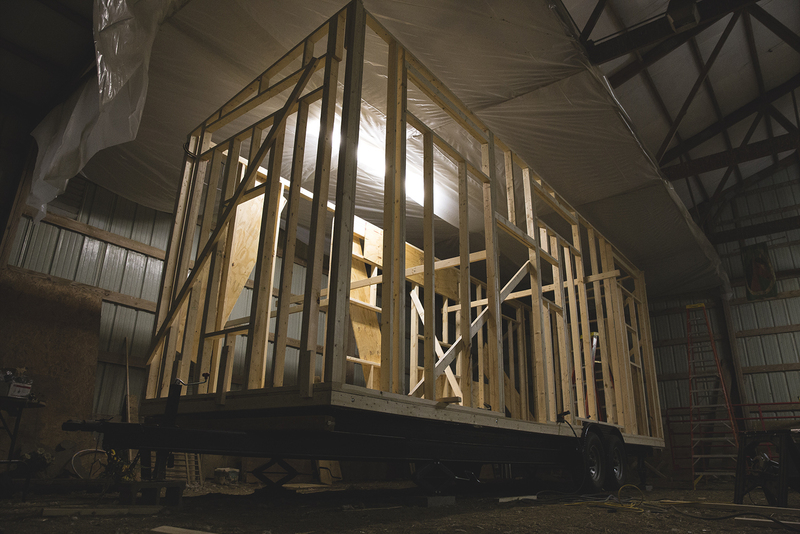 Making progress on our tiny house build! The sub floor is now framed, anchored, and insulated. Ready for plywood today and then picking up our framing lumber order. 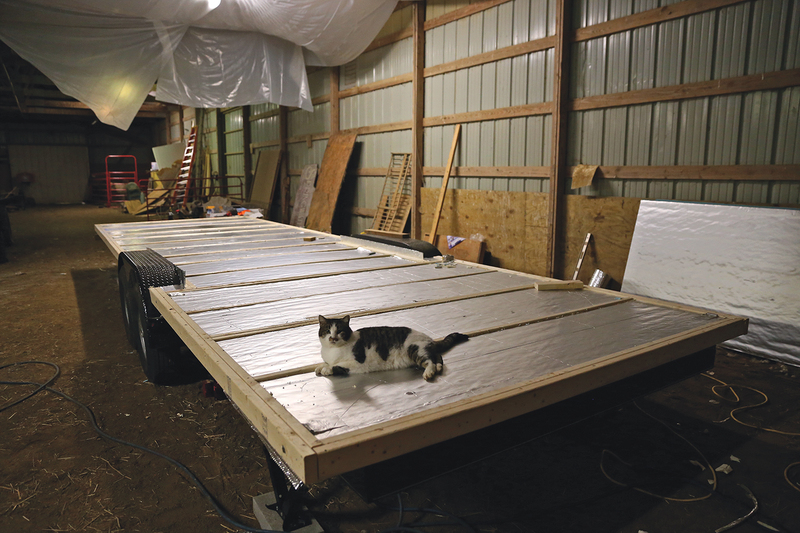 We used 2.5″ rigid foam board insulation inside the subfloor which should give us a total of roughly R16. Its then finished off with tongue & groove plywood. Moving on to framing! Big thanks to Mr. Rogers the cat for holding down the night shift. 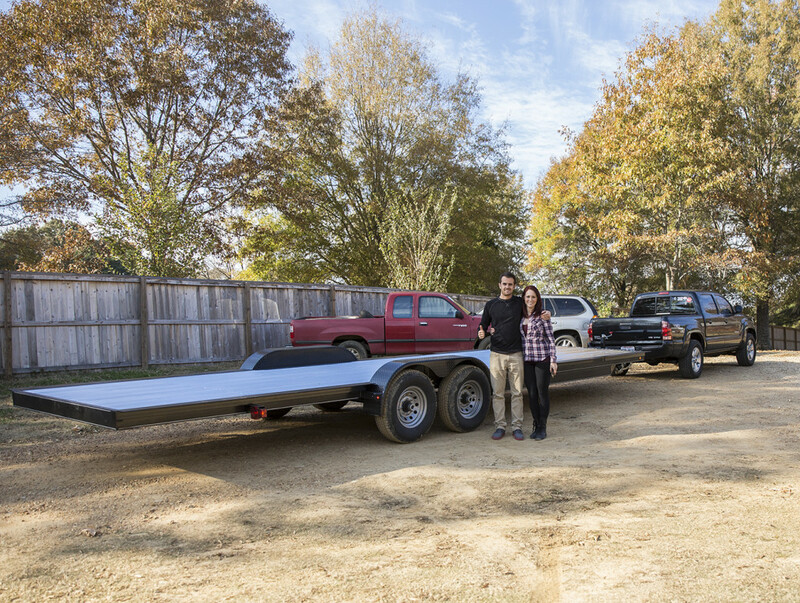 Definitely an exciting day picking up our brand new trailer from Tennessee Tiny Homes.